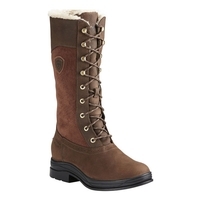 At Uttings we specialise in outdoor footwear; that’s why our selection of horse riding boots is one of the best online. 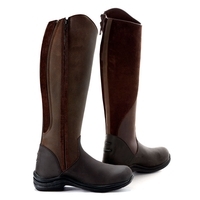 Comprising of robust, comfortable equestrian footwear including MuckBoot Horse Riding Boots and Toggi Equestrian Shoes, our range provides a large choice in a variety of styles and colours. 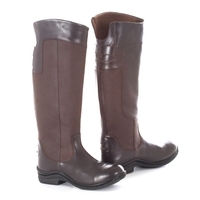 Take a look through our collection of horse riding boots online today and buy online to have them delivered to your door. 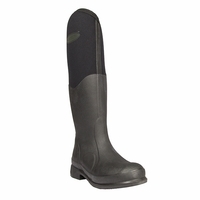 What is a riding boot? 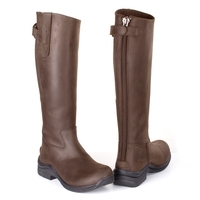 Riding boots are specially designed with horseriding and equestrian pursuits in mind. 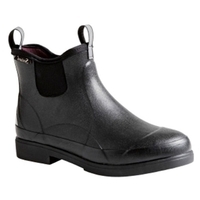 Features of riding boots include a tall height to protect the rider's leg from pinching by the saddle leather, sturdy toes to protect the rider's foot, and a distinct heel that prevents the outsole from slipping in the stirrup. Full grain leather describes a hide that has not been buffed or sanded down like a top-grain leather (such as Nubuck). This gives it a smooth appearance, and leaves natural imperfections on the surface to give it a unique and distinguished look. Nubuck is a 'top-grain leather' that is created from the outer side of a hide, and has been buffed on the grain side to provide a rough surface similar in feel to velvet or suede. Under half price! Last few pairs!